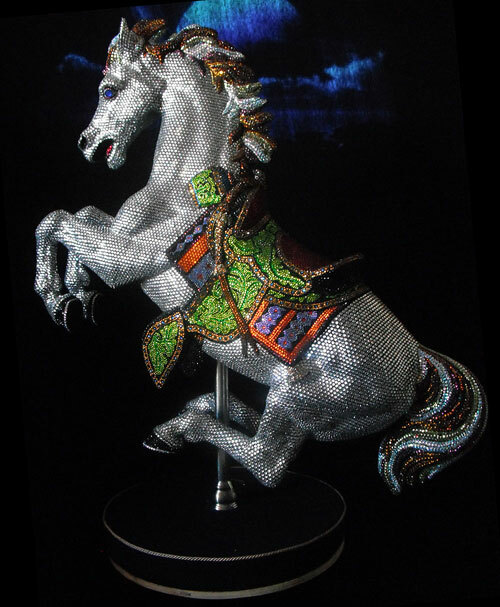 Approximately 40,000 Swarovski and other fine crystals, adorn this amazing vintage carousel horse. Each individual crystal on this glittering little horse was placed by hand and 'Crystal Stallion' took nearly 500 hours to complete. Formerly this beautiful baby 'jumper' (approximately 2ft long by 2ft high) was part of a well loved children's rocking horse. But instead of being 'put out to pasture', its elegance was recognized and it received a well deserved renaissance. 'Crystal Stallion' is the fourth in his line following his three sisters 'Crystal Beauty', 'Carousel Fantasy' and 'Crystal Star'. 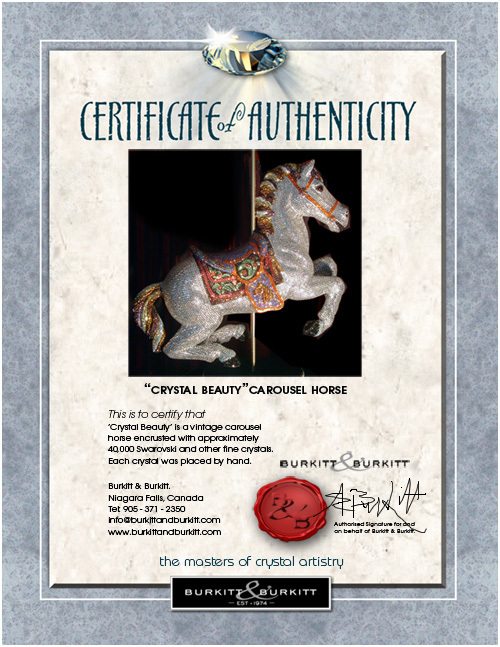 We believe that 'Crystal Stallion' is the most stunning piece yet!